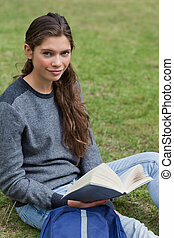 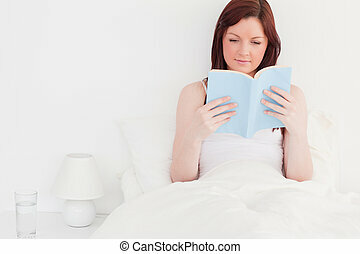 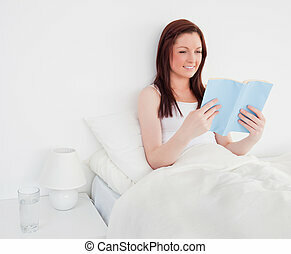 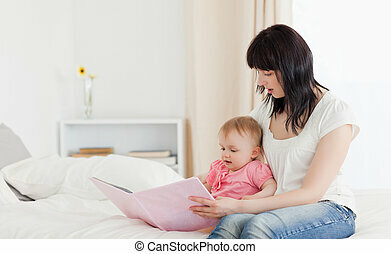 Beautiful brunette woman showing a book to her baby while sitting on a bed in her appartment. 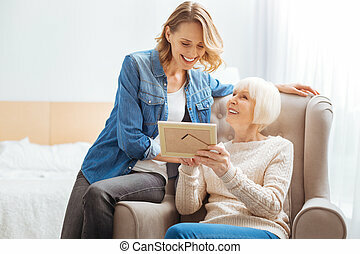 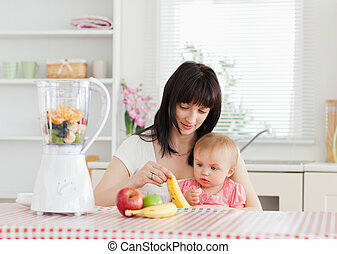 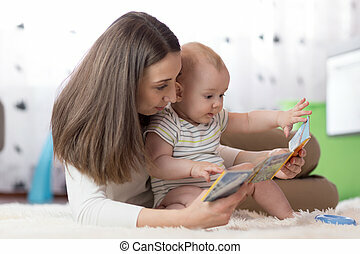 Beautiful mother is showing images in a book to her little baby daughter at home. 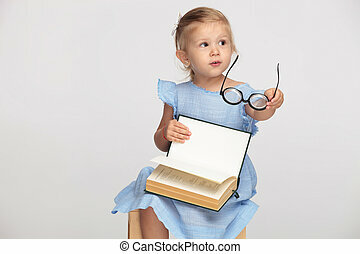 Funny story. 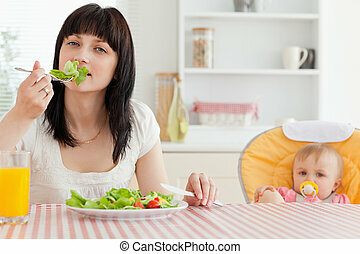 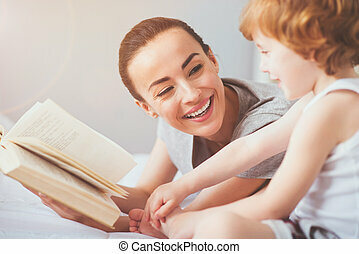 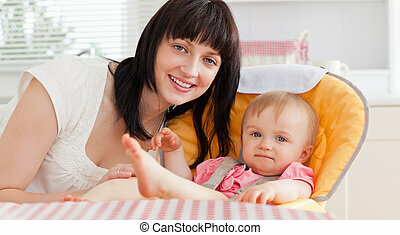 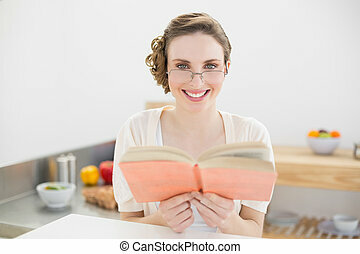 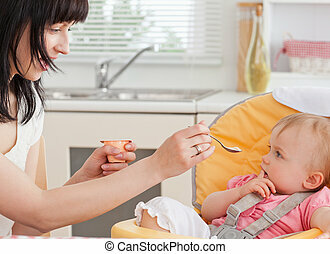 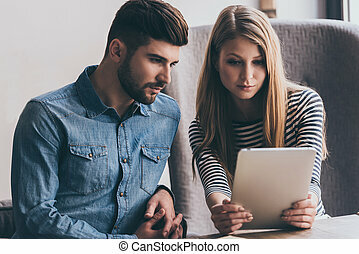 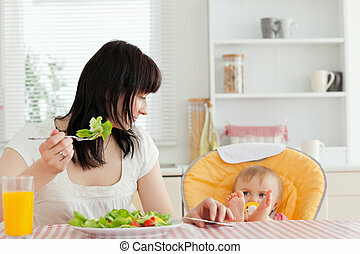 Young beautiful happy woman laughing with her toddler son while reading a book to him and enjoying leisure time.